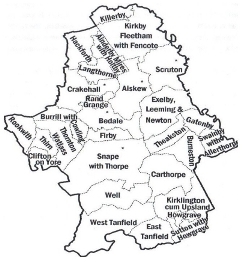 Car Boot Sales may only be operated by Local Charities, Voluntary and non-profit making Organisations, which are located in the area covered by the Bedale & Villages Community Forum as identified on the map. It should be noted, even though your organisation may meet the above criteria, the Council has the discretion to refuse an application. If you would like to apply to operate a Bedale Car Boot Sale in 2019, please complete the form below. If your application is successful then you will have to provide confirmation from your insurer that an event of this type is covered. The closing date for applications is 30th NOVEMBER 2018. Applications after this date will not be entered in the draw.